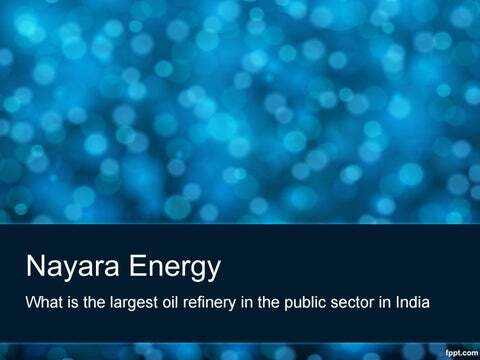 Overview Nayara Energy (formerly known as Essar Oil) is an integrated downstream oil company of international scale encompassing the entire hydrocarbon value chain from refining to production and marketing, across segments, including retail. In 2017 Essar Oil was acquired by Rosneft, the worldâ&#x20AC;&#x2122;s largest public oil and gas company by liquid hydrocarbon production and reserves and an investment consortium led by global commodity trading firm Trafigura & UCP Investment Group. Essar Oil has since been renamed as Nayara Energy. What is the largest oil refinery in the public sector in India? India has around 18 public sector refineries . 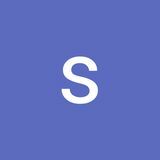 Following are some of the largest public oil refineries in India. 1. Kochi Refinery Owned by Bharat Petroleum Corporation Limited, the refinery is the largest public sector oil refinery in India. The production capacity of the Kochi refinery is about 15.5 MMTPA. 2. Mangalore Refinery Situated in Mangalore, Karnataka, the refinery is owned by Oil and Natural Gas Corporation and it has a total production capacity of 15 MMTPA making it the second largest crude oil refinery in India. 3. Paradip Refinery Owned by Indian Oil Corporation Limited. Like the Mangalore refinery, the Pradap refinery also has a production capacity of 15 MMTPA. The Gujarat Refinery and Panipat Refinery owned by the Indian Oil Corporation Limited has a production capacity of 13 MMTPA and 12 MMTPA respectively. The Gujarat refinery is currently under expansion and itâ&#x20AC;&#x2122;s capacity will increase to 18 MMTPA. India has around 18 public sector refineries . Following are some of the largest public oil refineries in India.